The torch for Club President past from Elizabeth Howland to Kimberly Gomez. 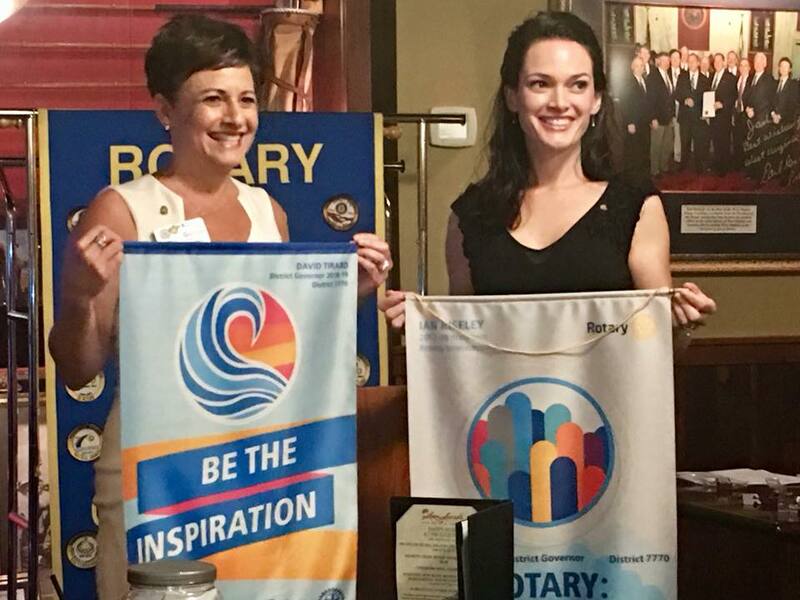 Porter Medley of Coastal Carolina University received well-earned accolades as Rotarian of The Year. 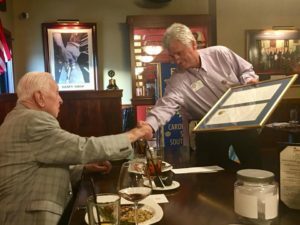 Club Sargent at Arms,Tim Reudy, presented a State of South Carolina Proclamation recognizing 100 year old club member, Dr. Carl Records. A special thank you to SC State Representative Tim McGinnis, who facilitated this special honor.